News of SHINee’s Jonghyun receiving surgery on his legs were delayed in being reported to the media. Jonghyun previously injured his left ankle on October of 2010, after the group was rushed by fans at the Jakarta airport upon their arrival. Although he thought it was okay, further examinations showed that he required surgery. What happened to SHINee’s Onew in Pattaya? According to some fan accounts, SHINee Onew was sick yesterday in Pattaya. Onew keep resting his head on the site of filming and he even took a rest when he was waiting for his turn to film. But don’t worry, he already took his medicine and he is feeling better now. Get well soon Onew! SHINee, an idol group to make an official debut in Japan in March, have chosen as their partner EMI Japan, a company known for producing Utada Hikaru called national singer of Japan. Miyake Akira, who discovered and promoted Utada, will also be the producer for SHINee. After attending SHINee’s solo concert, he said he’d like to promote SHINee as an all-Asian pop group. What is the strength of Korean idols? Only the debut date has been confirmed. What is certain is that SHINee can’t be defined just as K-pop or J-pop, but will be Asian Pop, that is, A-pop. They will make a success in the Asian pop market after taking in new things from Japan after their debut. 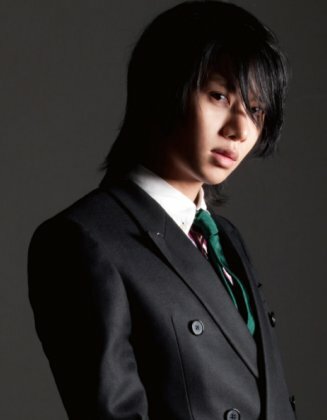 Idol group Super Junior Kim Heechul told the news that he renewed his contract with his current company SM Entertainment. On the 19th’s episode of MBC ‘Golden Fishery-Radio Star (MC Kim Kookjin Yoon Jongshin Kim Gura Kim Heechul)’ SES original member Shoo, Bang Eunhee, Lee Eugene appeared and showed off their skill of talking. On that day Yoon Jongshin expressed his curiosity by asking to Kim Heechul “I heard that you have good news.” The good news was that Kim Heechul renewed his contract with his current company SM Entertainment. Twitter’s founder also knows Kim Heechul. He has been regarded as the celebrity who uses Twitter the most in Korea. On the 19th (of January), Twitter’s co-founder, Evan Williams mentioned about Super Junior member Kim Heechul in a press conference. He said that “In South Korea, Twitter is used by politicians and celebrities to communicate with others in order to obtain their opinion on various fields.” and cited the example of the issue of naming a day as “Kim Heechul Day”. According to his explanation about “Kim Heechul Day”, during October last year, Kim Heechul’s fans declared October 10 as “Kim Heechul’s Day” and this issue disseminated quickly through Twitter. It climbed up the ranks of Twitter’s popular searches, thereby taking the first place on the trending topics list. Kim Heechul, who boasts a follower count of 300,000 people, also achieved the 9th position in last year’s “Twitter Trend Analysis”, and was the only Korean on the list. His name appeared next to the other worldwide celebrities, which includes pop star Justin Bieber, Lady Gaga, Mel Gibson, Lil’Kim and others. The quote is from Kim Heechul who became the new MC of popular variety program, Radio Star, talking about the atmosphere of Radio Star studio. Since the 8th of last month, Kim Heechul has been appearing on Radio Star as an MC. He took over for Shin Jung Hwan who left the show due to his scandal with gambling. Kim Heechul has successfully adapted himself to the strong sunbaes Kim Goora, Yoon Jongshin and Kim Gookjin. “When I say ‘yeah~’ and tell Goora hyung to hit my fist, he does it while looking unwilling about it. Then Jongshin hyung smiles and Gookjin hyung laughs ‘huh huh huh’. Even though I say this, the hyungnims tell me lots of good things. Jongshin hyung tells me ‘(Hee)Chulah I like your gag’ and laughs warmly. ◇”My dream is to host Kim Heechul Show”= Even though he co-hosts the program with ahjussi MCs who have unique personalities, the person he felt the biggest burden towards was Shin Junghwan. Among the idol singers, Kim Heechul is especially active as a host. He hosts SBS radio PowerFM’s (107.7㎒) Kim Heechul’s Youngstreet and is also an MC on MBC TV’s new program The Night when Memory Shines. 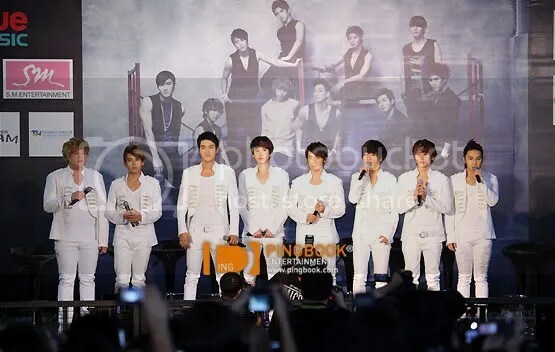 2011 January 15th 6pm at Impact Arena Muangthong Thani ‘ Super Junior’ (Leeteuk, Eunhyuk, Shindong, Siwon, Yesung, Sungmin, Heechul, Kyuhyun, Donghae, Ryeowook) the famous idol group from Korean came to Thailand to hold the concert ‘True Music Presents Super Junior The 3rd Asia Tour Super Show 3’. Today they have prepared a lot of hit song for fans such as ‘Sorry, Sorry’, ‘Bonamana’, ‘No Other’ etc. Like all of Super Junior’s trot songs, “Please” is quite hilarious. ELFs will be thrilled at getting to hear Shindong sing a lot more as well, something that is usually quite rare.